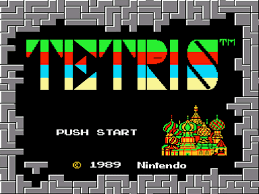 Many years ago, a friend of mine gave me a piece of advice on how to be great at Tetris that has stuck with me through the years, and just recently I realized that it applies to fundraising communications too. In fact, I realized that communication for the purposes of fundraising is really a lot like playing a game of Tetris in a few different ways. Tetris may start off slow and seem manageable, but as you make progress and have more pieces coming at you, you need to be more responsive to keep moving forward. This probably sounds awfully familiar to anyone involved in keeping up with fundraising communications! Not only do you have your planned outgoing communications (newsletters, direct mail appeals, thank you letters with tax receipts, email appeals, etc.) but you hopefully have a number of incoming inquiries from donors, media, prospective partners, and others. So how do you stay on top of everything? Like in Tetris, you need to make sure things don’t pile up for too long. Have some guidelines for yourself regarding how soon you will reply to phone calls, letters and emails and then stick to them. And be proactive! Make sure you have mapped out all of the communications pieces you can control with a content calendar so you know when your busiest times are. That way you won’t get stuck thinking you’ll have more time to manage incoming requests and as a result be too slow to make the most of opportunities to engage others. Remember that in particular when a donor is reaching out to you, the speed of your response to them is how they’ll judge both how professional your organization is, and also how important they are to you. A content calendar is a great first step to seeing the big picture of your organizational communications. If you are in a large organization, this will likely mean you want to ensure you have all departments represented on it so you have a sense of what your donor will be experiencing in terms of their engagement over the year. If you are in a small organization, this may be your individual plan and so you’ll have more control over the flow throughout the year. Once you have your calendar all mapped out, you should be able to see where your gaps and peaks are. Perhaps you’ll spot an opportunity in early Spring to work in a new piece you’ve been wanting to try, or maybe you notice that Winter is awfully cluttered and decide against another issue of the newsletter there. Whatever picture you see make sure you are taking a critical look at it, and letting it help you form your strategy from there. You will need to decide, like in Tetris, how you want to approach things. Do you prefer to deal with each piece as soon as you can, or build up several awaiting for completion all in one go? This is a question of balancing response time vs. efficiency. You will also want to decide on how to measure whether your strategy is working for you or not. What are the metrics you will use? Response rate, response time, gift size, new inquiries, open rates, click throughs, page hits, etc. There are many angles to look at to assess whether your strategy is meeting your objectives. For anyone who has played much Tetris, you know that as soon as you start to get gaps you can’t fill, and voids that are buried under other pieces you are in trouble. The same is true for fundraising of all kinds. If your donors are not engaged on a regular basis, if you are not staying in the forefront of their mind, you can easily fall off their radar. This is why we see more and more drop-offs in active donor lists as people become dormant in their giving. It is far preferable to maintain a donor’s engagement rather than having to make proportionally larger investments in acquiring new donors. So again, we come back to the idea of mapping out your calendar of communications and making sure donors are engaged as much as possible. The other piece to this particular puzzle, is to make sure all the messaging fits together. If you are a one person shop it is easy enough to be sure that the way you speak about the organization is generally consistent – but you’ll want to ensure your volunteers, board members and other staff speak the same language. On the other hand, if you are in a large organization, you may have several people who send out communications and they may not all be cohesive. You may wish to invest a little time in assessing your messaging to check that donors are getting the right message across the organization. I will say that my Tetris ability greatly improved once I took this advice to heart, and I think if you apply the same philosophy to your fundraising communications – feeling the important purpose in every letter, blog, social media posting, direct mail ask, brochure and indeed every piece you do – you will find that cohesive, purposeful, responsive messaging comes much more easily as well.